Our goal is to provide quality home care services to help you maintain independence and live a safe and healthy lifestyle. Through quality assurance checks, ongoing training, employee and client surveys, and data analysis we are able to measure the quality of services being delivered and better serve you and your loved ones. 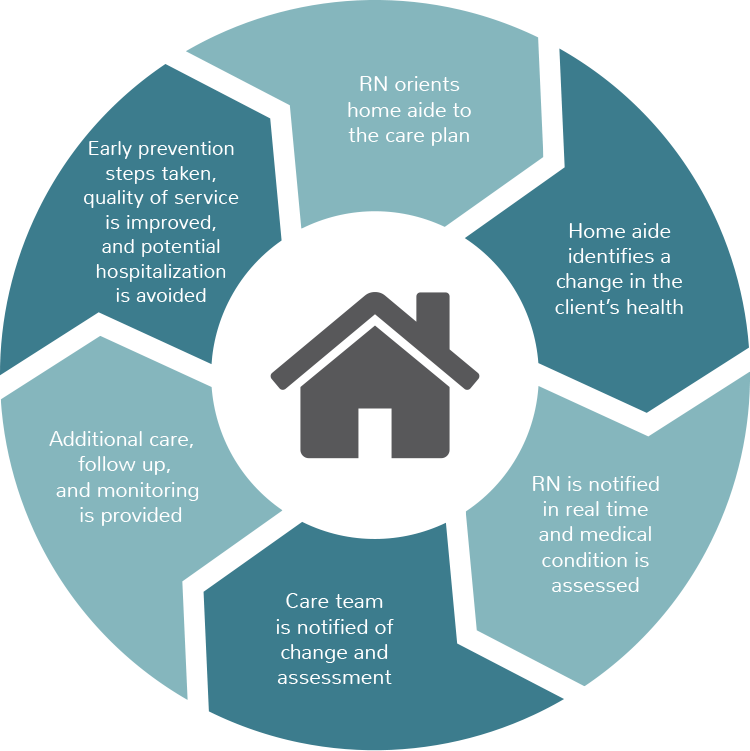 Our Collaborative Care Model demonstrates how each team member contributes to providing home care that works collaboratively with other medical services, enhancing their care and quality of life.